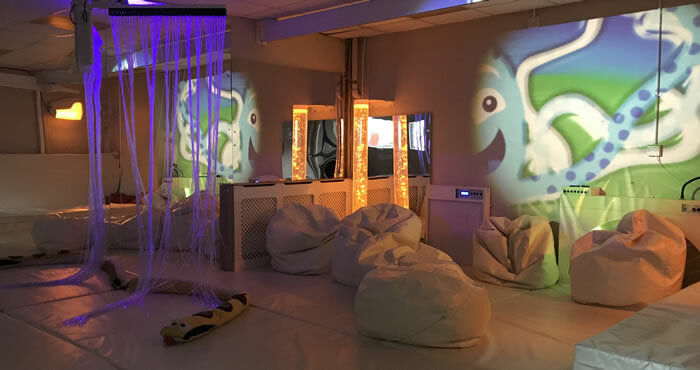 The sensory room is a beautifully equipped space designed to encourage relaxation and promote communication skills and self-expression. The room is fitted out with many wonderful features including an acoustic waterbed, fibre optics and special effect lighting. These features are designed to deliver stimuli to various senses. The white room is also fitted with tracking and hoist for those with profound learning disabilities or those who are wheelchair users. Various activities are also carried out in the white room including reflexology and Indian head massage. White room can be booked out for £10 per person per hour. Please ring in advance and book a slot with Stacey.